I need a five gallon pail of stain. I was hoping you have a record of what I bought. It is a steroid base stain, but I don’t remember what color. I lost all of my records when my computer crashed. Both times you ordered the Defy Extreme Cedartone. We forwarded your last order to you. We have a new fence and are trying to decide if we want it to go “naturally gray” while still protecting the wood. If so, would it be any more protective to use driftwood gray instead of clear? If you want it to naturally gray, use the Clear. I have applied 2 coats of Driftwood gray at air temp of 49˚. The stain took longer to set up for the second coat and the final results had great penetration but not as much gray color on the surface as I would like. Can I add one more coat on cured product to increase the gray color? No, not at this time as it will not take or adhere since it has already cured. You can lightly clean and apply another coat in 6-12 months. An older friend had a can of Biowash Natural Deck Oil (OLD) and I put it on her porch. It won’t dry, how do I get rid of it and replace it with Defy wood oil. She like it cause there is no chemical that she is a allergic to. You would need to strip and sand to remove. Once removed, brighten the wood. Defy Extreme is not the same thing. Defy Wood Oil is very similar to the old Biowash NDO. Same colors as well. Yes you can as long as you prep correctly. It should be brightened as soon as possible. Stain within 15 days of the prep. Use the Defy Hardwood as it will soak in better. Prep with the Defy Wood Cleaner. Use a stain pad to apply. Watch for drips and cover the patio below. My ceiling is 18’x18′ and is 13′ high at the center. How much stain do you think I will need? Should I apply 1 or 2 coats this fall? Or 1 coat this fall and another next spring? Just to clarify then you think I only need to use the cleaner and not a brightener? Thanks. Just one coat. About 3 gallons. Yes on the prep. Should I go ahead and apply a second coat in the spring or wait and see how it looks first? You will most likely not need another coat on a ceiling next Spring. Maybe in a few years. Although it’s been at least 48 since the last rain some of the boards still feel wet. Am I okay staining today? Not if damp. Let dry longer. Hi Jeff, yes you have to prep to remove the mill glaze. Do a light cleaning and brightening. I used Defy cleaner, brightener and stain last Spring on my new deck after waiting several months for the wood to dry. It looked great! I doesn’t seem to be repelling water as well as it did at first. Should I apply a second coat this year, and if so, do I need to clean/brighten again first, or just wash with soap and water? No need to apply a coat unless it visibly looks like it needs it. Defy “sheds” water and does not “bead” water. If you do want to do a light coat, then use the Defy Wood Cleaner first as the prep. Approximately 7 years ago I stripped and restrained my log home using the Epoxy redwood stain. I see that is no longer available. I am going to use the extreme redwood this time. Do I need to strip the epoxy off of just give it a good cleaning and then a apply extreme with 2 coats wet on wet? I previously applied Defy Epoxy Fortified Wood stain with very good results. Now it si time to reapply. What product can I apply over the Epoxy fortified stain? Hi- I have just cleaned, brightened, and stained entire vertical cedar house beautiful. What do I do going forward? I don’t ever want to have to strip this whole house again? Just lightly clean and reapply as needed. Every 3-6 years or so. Do you have pictures? We would love to see them! Yes I can send pictures. Where to? Can you please tell me in detail what you mean by “lightly clean”. I don’t want thehouse to get darker every time I stain. Lightly clean to remove dirt and grime is all you need to do. You can upload pictures right here in the comment area. So I am a precise guy. Do you mean use your wood cleaner to lightly clean the wood or just with soap? If the wood cleaner how much would you dilute the cleaner so as not to remove the old stain. This is where the trouble starts from past experience. You try to “lightly clean” and you take off the prior stain in patches or different spots and you end up having to strip the whole thing to get it uniform. Depends on who dirty it is. Sometimes you need just some soapy water and other times you will need a deeper cleaning with the Defy Wood Cleaner. It is okay to remove some of the stain, as long as you remove it evenly. I would not worry about it now, but when time to redo. Address the best way to prep then. Looking forward to the pictures. Did you see our contest? Try a water based graffiti remover from your local store. My deck has previously been stained. It has been power washed but some stain still remains. If I am understanding correctly I would not be able to use Defy Extreme without total stripping. You did need to remove the previous stain when switching to Defy. Thank you. However, the whole point of kiln dried after (pressure) treatment- KDAT is that it has already been dried and finished shrinking. The plan is to treat immediately as is recommended for KDAT. Is cleaning and one coat of Defy Extreme still the recommendation? Janis, the need to weather has nothing to do with moisture content and KDAT wood manufacturers wrongly assume that deck stains can be applied right away. Best to wait about 1 month after install, clean and brighten for prep, and apply 1 coat. 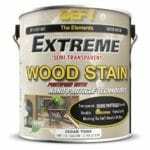 I plan to use Defy extreme on a new deck with KDAT flat surfaces and pressure treated uprights and beams. The KDAT will be treated immediately. The pressure treated will wait at least 6 months. 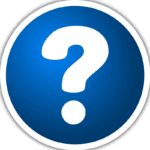 Are there any special considerations using Defy extreme? Hi I am going to use defy extreme to restore my decks. I have metal spindles in my rail system and wanted advice on the best way to protect these while stripping brightening and staining. The metal spindles are supported by PTW top and bottom. Thanks! Are the spindles coated? The coated spindles should not be affected from the prepping products but always best to test first. As for the stain, either mask off the spindles or stain around them carefully and wipe off any stain that gets on them immediately. Yes they are coated. I’m assuming it is a powder coating. Thanks for the really quick reply. I have a recently built walkway and a 2-y old patio, both with flagstone that I would like to seal. Does any of your sealer products work for that kind of material? Tks. We stained our deck with Extreme about 4 years ago. It is in need of being stained again. Do I need to use the wood cleaner and brightener or just the brightener? Tom, you would need to wood cleaner and brightener. We are trying to sand our deck down to the bare wood which had years of Cabot solid stain on it, but previously someone power washed it and chewed up the wood. We can not get into those grooves. Is there some way to remove that so we could put a semi transparent stain on? Mpg, sanding is really the only effective way to remove a solid stain as a stripper will not work. CAN i use the defy satin product on a Deck Wood That i did pût a teint last year?????? I want it too pût new teint this sommer but friend suggestion your product defy sealer?? Is it so late bécause the Wood was teint ones??? Thanks too Answer as soon .. If yes i CAN use it and i live in Montréal Canada so How too order it??? You cannot apply Defy on top of another stain. The old stain would need to be removed first. Can a water soluble powdered dye be added to the Extreme Stain to achieve a custom color?